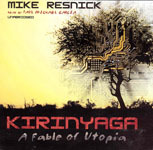 Rounding up Mike Resnick audio – it’s a feast for your ears! One of the stories you mentioned, “For I have Touched The Sky” was one of the saddest, most depressing stories I have ever read. Still, after many years, I cry after I think about it. Since then, I can’t stand reading Resnick. If I believed Resnick was truly critizing the situation, I’d be OK but I still think that his love of Africa, his love of their culture has skewed his POV and he is not critising the utopia of Kirinyaga but endorsing it. Still, anyone hasn’t read this story, I strongly suggest you read/listen to it and make up your own mind. 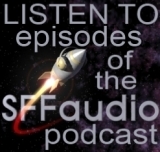 Escape Pod Podcast has vintage Silverberg! Another Lester del Rey audiobook claimed in our "Challenge"